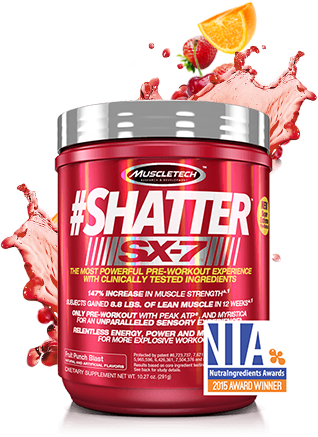 Formulated with Super-Extreme, Cutting-Edge Premium Ingredients! 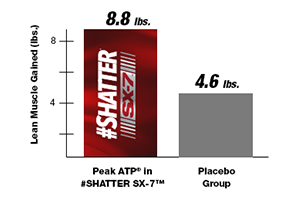 One of the most powerful clinically studied ingredients in #SHATTER SX-7 is Peak ATP®. 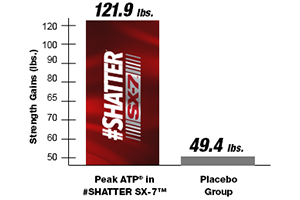 Hard-training subjects who supplemented with Peak ATP® in a 12-week human clinical study at the University of Tampa increased strength by 147% more than subjects using a placebo on their combined maximum weight lifted on the bench press, deadlift, and squat. Even better, these same subjects gained 8.8lbs. of lean muscle vs. the placebo group, who only gained 4.6lbs. 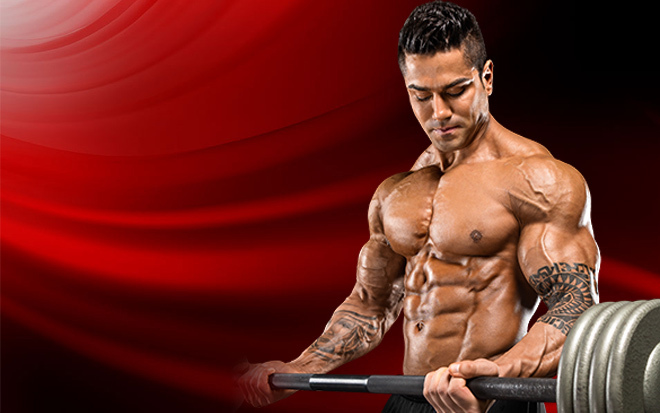 – that’s 90% more lean muscle. When is the last time your pre-workout delivered those kind of gains? 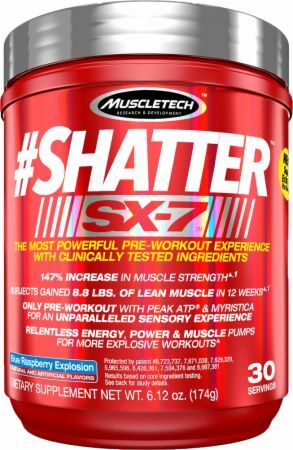 Hard-training subjects who supplemented with the precise dose of Peak ATP® contained in #SHATTER SX-7 over a 12-week clinical study at the University of Tampa gained 8.8lbs. of lean muscle vs. the placebo group, who only gained 4.6lbs. 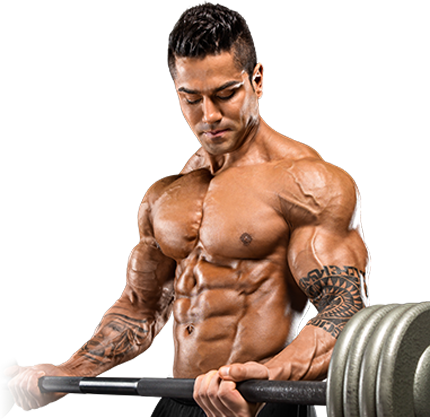 – that’s 90% more lean muscle.